Welcome to HoboStory Forums. If you are new and haven't signed up yet, click register. If you already have an account, please log in. Since I've been receiving tons of help messages regarding the download of HoboStory, I decided to make a picture tutorial to simplify things for people who have trouble downloading. For the following guide, required downloads will be highlighted in orange, downloads that may or may not be needed will be in blue, steps will be highlighted in cyan, and additional info will be in purple. Huge update! Hamachi is no longer needed, it is only mandatory for those who cannot connect via non-hamachi! Step 1:First of all, you have to download all the files needed to play HoboStory. IMPORTANT! 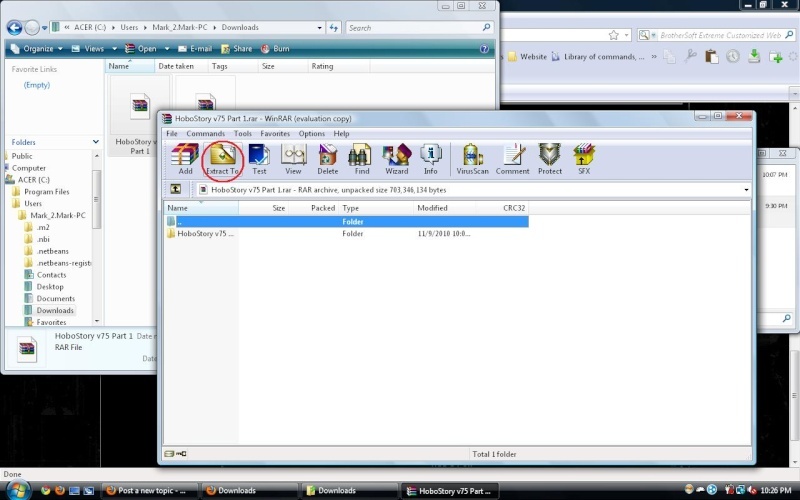 WinRAR is NEEDED in order to be able to unpack our server files! 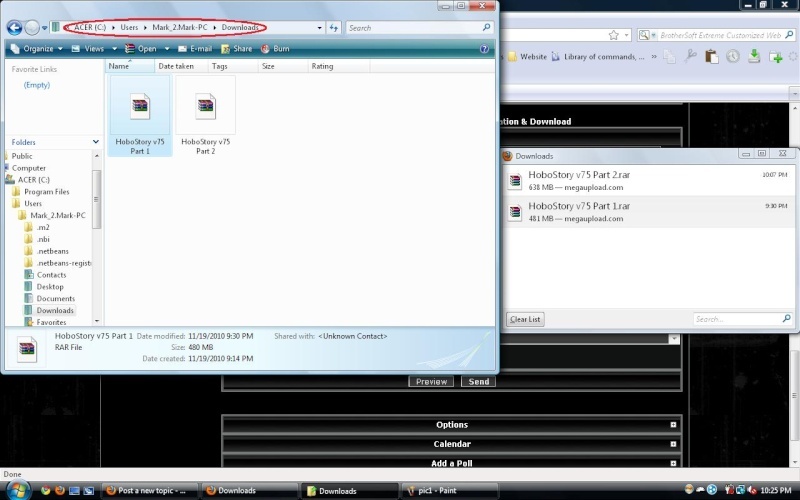 Step 3:Afterwards, look for a file called HoboStory v75 Part 1.rar and double click it. Step 5:Click on 'Extract To' and then choose the destination path for MapleStory. In this case, I'll be installing it into a folder in my Desktop. 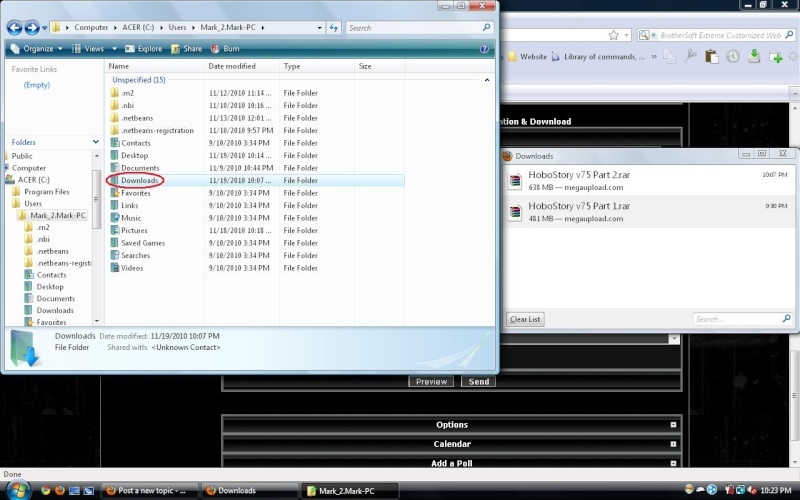 Step 6: Now that you're done extracting part 1, go back to your downloads folder and look for part 2. Repeat the above steps until you're done extracting both parts. 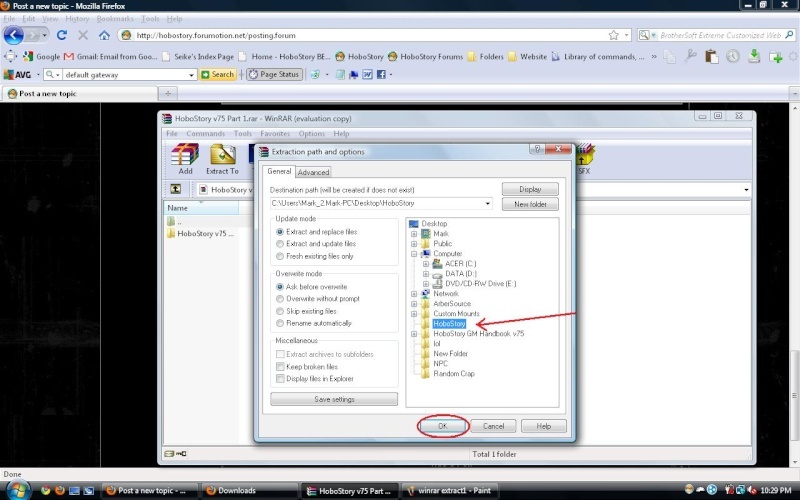 Step 10: Click, hold, and drag your mouse over all the content in the folder so everything is highlighted. Now right click -> cut. Step 11: Now go back to the previous folder by clicking the at the top left corner of the window. Afterward, navigate into the part 2 folder, or whichever folder that you haven't explored yet. 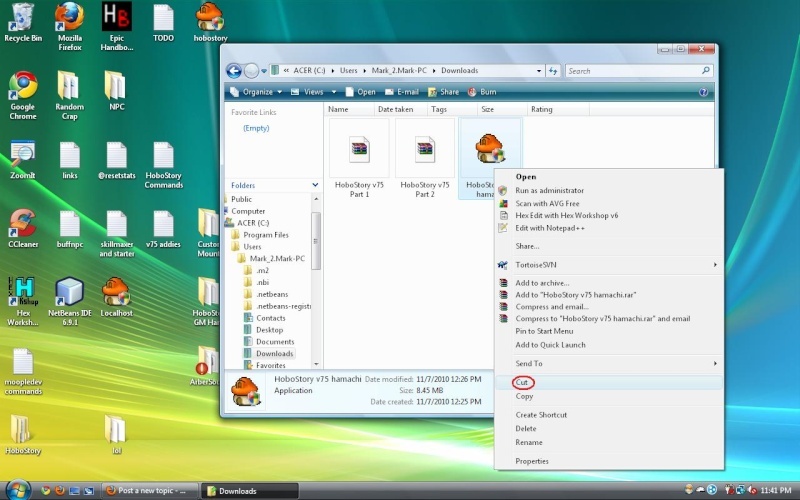 Step 12: Right click the empty space at the side and choose the option 'Paste'. This will move all the files from the first folder to the second. Step 14: You're almost done. 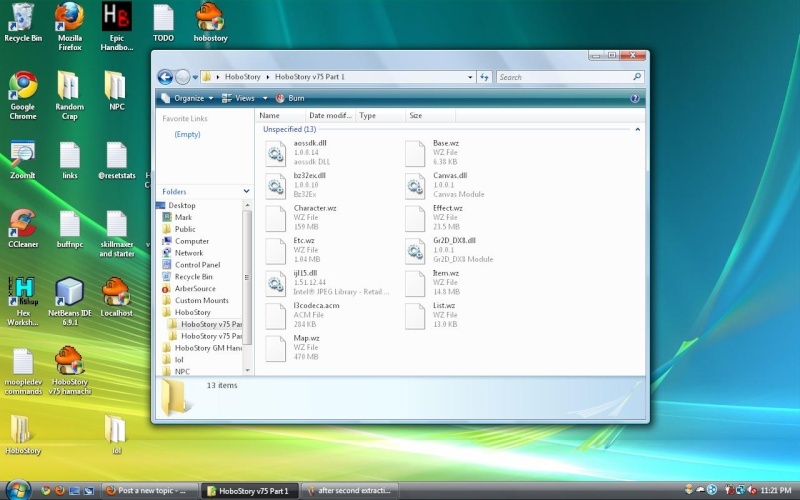 Go back to your downloads folder, and find the HoboStory v75 Hamachi.exe file. This is extremely important, as it is the launcher for our server. Step 15: Like you did before, right click the file -> cut. 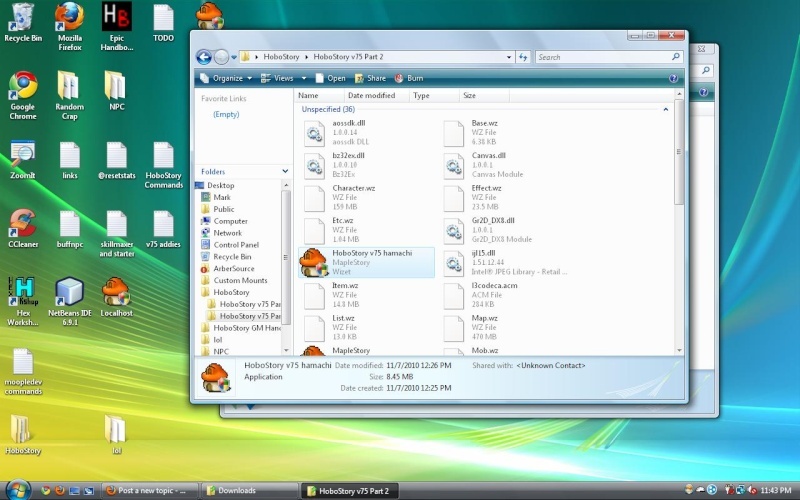 Step 16: Navigate back to your MapleStory folder (again) and finally, right click and Paste! Remember to press the 'Thanks' button if this post helped.